I like wrapping up my week with you all!! So it is going to be our Friday thing! We have been posting like crazy on the Insta ( yes I nick-named it) and tweetin like mad on the twitter!! If you want to join in on the fun look up @doubletake_x2 !! Annnyyyywwwaaaaayyyyy on to my week!! Monday- Who doesn’t love a day off? And for a good reason!! We got to chill out and see some fun friends. To start off the day we saw an old family friend and brought her Smallcake cupcakes! I have never seen a person love frosting so much, and it is well deserved, their frosting is nothing short of AMAZING! After that the fun continued (whhaaaat?! Never ending fun? Yep!) my sisters and I got to be fitness models for my cousin’s wife…so my cousin-in-law..? And that was fun, I mean any excuse for me to wear overly matchy matchy workout stuff with out being made fun of and act like I’m working out without being sweaty, sign me up!! Tuesday- No homework and dance class. I say this day is about as good as a school day gets! Wednesday- Lovin that start life!! It makes your whole day better, thank you extra hour of sleep! Plus watched a great movie in religion October Baby. This really wasn’t a religion movie but it was pretty inspiring! Highly recommend! Thursday- Again another wonder, beautiful, sent straight from heaven itself, late start. I’m tellin’ ya, they’re fabulous! Also I got to start it off by collaborating ideas in stuco, I get an extreme satisfaction from making decisions and writing down dates….it’s the small things! To add on to a wonderful beginning Mr. Schimty may have forgotten he had a lesson plan and told us stories from his high school years, I was laughing so hard that I thought I had a 6 pack leaving his class!! And I got to end it in dance, always the highlight of the day especially when we bond over the Frozen soundtrack! Friday- Fun day Friday! Today we had 22 min classes, so not too much work was done, but we celebrated Mass and had a pep assembly! At the pep assembly we found out who was on our winter formal’s court, I definitely approve of who was voted on! Congrats boys! To end it all pizza was ordered and Friday is bride day on TLC so my night has been planned! So that’s a wrap!! 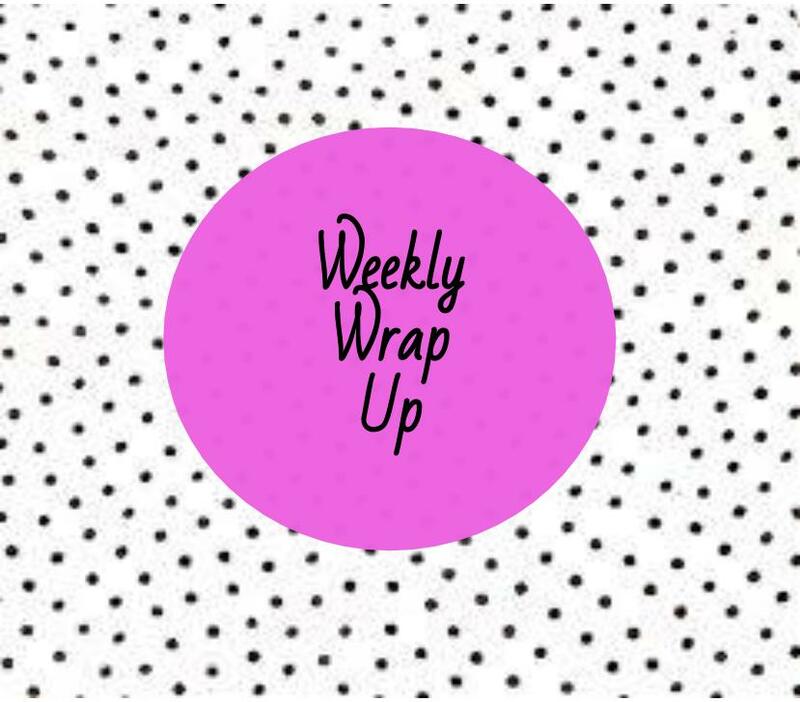 ( I thought that was a fun way to wrap up the weekly wrap up!!! ) Hope you all had a wonderful week!! Looking for some pinspiration with chocolate milk by my side!